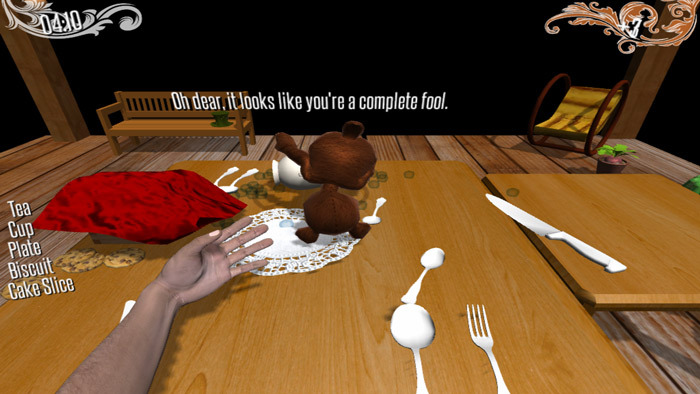 Tea Party Simulator demo is a very interesting and hilarious game where you are holding a tea party with your trusty teddy bear, using your mouse to move your arm and hand you then use the keys to move your fingers to try and grip things such as the teapot and cookies however it can be very difficult to lift and pick things up which is where the hilarity ensues as you start smashing tea cups and throwing cookies all over the place all whilst your teddy bear chimes in with some not so constructive criticism about how useless you are at holding tea parties! The graphics look really good in the game and although the whole thing is fairly simple and there is probably not much to bring you back and play again after you have had a couple of tries at holding a tea party it is definitely worth a look for a few laughs and I’m sure most people will get a few minutes of enjoyable time from Tea Party Simulator demo. 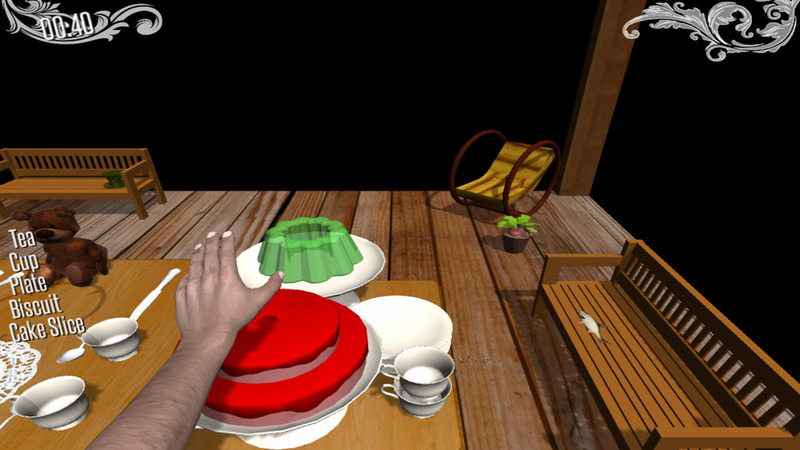 As this is just a demo it’s not clear how much more will be added for the full game and how this could develop in to a much larger game but the demo sure is a lot of fun and worth downloading for a few laughs. 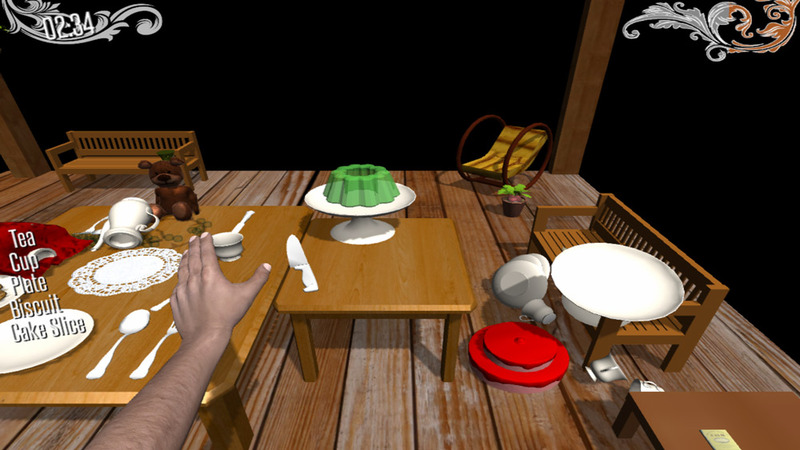 You can download the Tea Party Simulator demo here for free.